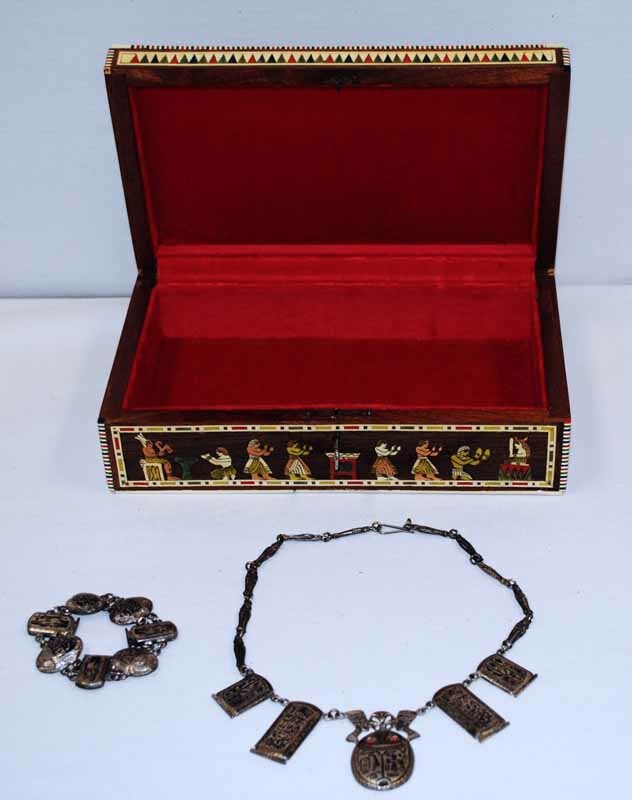 he wooden jewelry box displayed here was gifted from Egypt in 1978 and includes a matching silver necklace and bracelet. While the wood used for this jewelry box is unknown, it is known that Egypt imported wood from countries such as Africa and Lebanon. Silver was not a commonly found material in Egypt either and was acquired from western Asia. Decorated boxes such as the one displayed were reserved for the elite members of society. 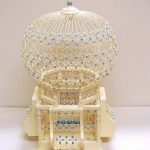 Such jewelry boxes were adorned with embedded carvings, ivory inlay, various pigments, mother-of-pearl, and precious metals. This jewelry box is decorated with various pieces of wood, pigment, and mother-of-pearl to create a traditional scene. 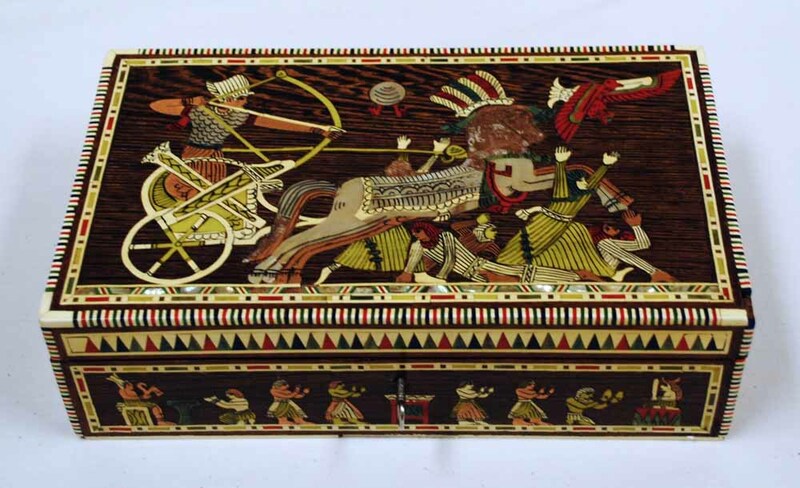 The chariot scene depicted on the lid of the box is a traditional image that can be found throughout Egypt on chests and wall carvings. The silver necklace is comprised of a large central scarab beetle with red stone eyes flanked by two panels on either side. Each panel is adorned with hieroglyphics. 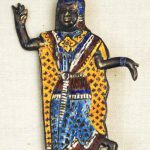 Small mummy bodies act as the links of a chain to complete the necklace. Alternating scarab beetles and hieroglyphic panels closely linked together form the bracelet.